At Elite Tiling Ltd, we take our company obligations to comply with current Health & safety at Work Act 1974, Health & Safety Legislation and British Standards very seriously and always apply safe working practises as appropriate and required on site. 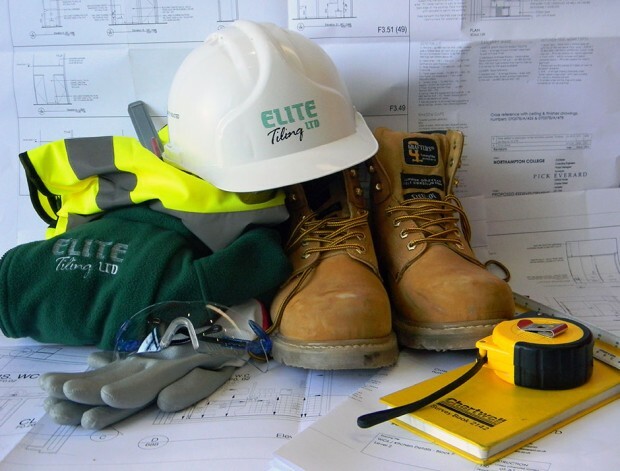 Elite Tiling Ltd are committed to providing and maintaining a working environment that ensures the health and safety of our employees, customers, contractors and visitors. We want to prevent accidents and illness by making sure that health and safety considerations are at the heart of everything we do. We support this with our own Health & Safety Policy and provide Risk Assessment, Method Statements and Public & Employers Insurance for each contract undertaken. We also provide a full contract specific Operations & Maintenance Manual on project completion. Our operatives are all trained to a minimum CSCS standard and, where appropriate, SMSTS Site Management Level and SSSTS Site Supervisor level. All are issued with company PPE. Please view evidence of our accreditations below.